I don’t really think that’s fair. It looks like ‘brand’ is still available. Funny. 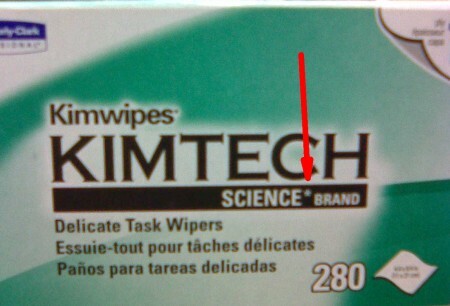 The trademark is for “Kimtech Science.” The text’s font and size change sure throws that for an amusing loop. I wonder if that trademark is new – i don’t think they had it on their older packaging?